SSC CHSL Cut off marks 2017 2016 Previous Years: Staff Selection Commission conducted Tier 1 exam of CHSL 2017 from 04 to 28 March 2018. The test was held for Postal Assistant / Sorting Assistants, Data Entry Operators, Lower Divisional Clerks and Court Clerk. 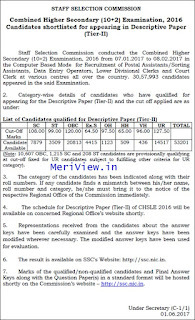 SSC LDC DEO Cut off marks has been released along with results. Below you can check the scores. 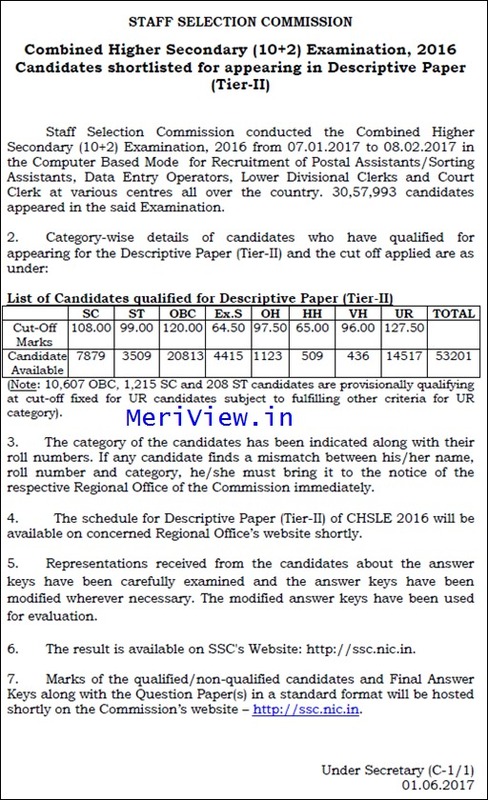 1406 SC, 290 ST and 10973 OBC candidates are also qualifying at UR standard.